Robyn Denny’s show at the University Gallery displays works that depart from his previous geometrically precise imagery. 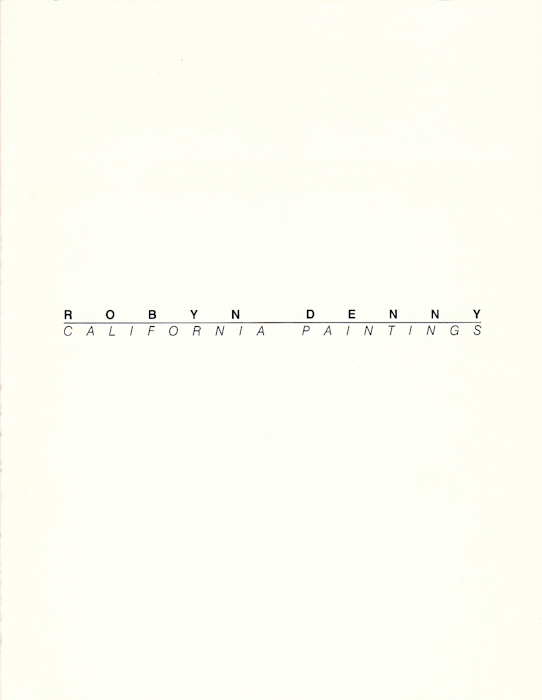 Denny’s dark yet luminous paintings executed in Southern California are, upon first approach, simple abstractions. The majority of the surfaces in these paintings are dark, almost black. Bringing the paintings under natural and superficial light, the layered surfaces exude colorful energy. The rubbed and blurred glowing hues that mingle with the horizontal lines add mystery to Denny’s work. Small random lyrical drops of paint further abstract the space. Viewers who attempt to narrate a composition of the lines and colors reveal their inclinations to perceive a true-to-form landscape even when one is not present. Today, Denny is internationally celebrated as one of the founding “Brit” artists.